Author Nina Sidell, M.A. has written “Parenting for Life,” an exciting new parenting book focused on strengthening your relationship with your child — starting from the baby and toddler stages, through the teen years, and continuing until they are mature adults. A true visionary, she has found a way for adults to look back to discover and heal the way they were parented. Sidell explains in her powerful 288-page book, that other typical parenting books most often explore what is wrong with a child, where the child gets stuck, or how to remedy behavior problems. Many parenting books are filled with advice for parents with children of all ages yet miss the importance of the parent-child relationship across a lifetime. Now there is a book with a positive and revolutionary approach that holds parents accountable and propels healthy family relating; ideal for the times we are living in today. “Parenting for Life,” Sidell explains, “Is a guide book for parents who are contemplating, expecting, raising, or relating to their children. The manual is designed to educate, encourage, and inspire individual and coupled parents.” Sidell’s award-winning new book, “Parenting for Life,” provides vital tools to help you connect with your growing and grown kids in new and powerful ways. Sidell is a skilled, highly intuitive therapist in private practice. She has a B.A. in psychology, and her Master’s Degree in Expressive Arts Therapy. 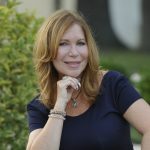 She works as a therapist and life coach with children, families, teens, women and couples; as well as writes, lectures and facilitates workshops on parenting, relationships and personal development. The mother of two sons, who resides in Suburban Philadelphia, has also written numerous articles for newspapers and magazines. There are three sections in the book and her hands-on approach provides “homework assignments” at the end of each chapter for parents to follow. Sidell said that families are no longer the picture of the popular ’50s TV show “Father Knows Best.” She explains while the meaning of family has remained relatively the same; the configuration and needs of today’s family has changed in modern times. Q: Please tell me about your book. NINA SIDELL: “Parenting for Life,” Creates a new niche’ and paradigm in parenting. 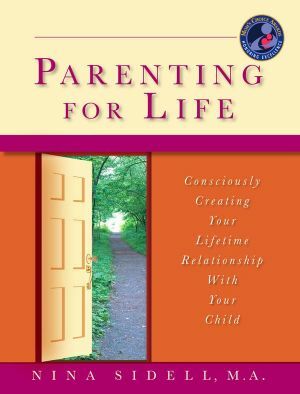 The sub-title for Parenting for Life is “Consciously Creating Your Lifetime Relationship with Your Child.” This book helps readers connect with their children at all stages in their lifetime relationship. It holds parents accountable, discusses the importance of mutual love, respect, and empathy as well as healthy roles and limits. There is homework at the end of each chapter to support the parent on their journey. Practical and powerful, “Parenting for Life,” offers parents of all ages tools to strengthen and heal relationships with their children. NS: I feel that my book is a socially relevant and revolutionary guidebook for individuals and couples, both before and after they become parents. This new approach heals lives. It can also help heal adult children who need to better understand and forgive their parents. Q: What is important to understand about your approach to parenting? NS: We must tune into where our expectations as parents come from. With this orientation, we can better accept and allow for our children’s individual process. Development cannot be rushed; nor can individuality. Your responsibility is to try to understand what your child is both saying and showing to you, all the days of your lives. Q: How important is being a role model for our children? NS: Being the best role model possible is always the goal, since children follow their parent’s lead. I advise parents with children of all ages that the consistent messages they send and model to their children will take hold in some way. A parent models strength and vulnerability as the family leader and how to navigate their inner and outer worlds. Q: What do you feel is a good path for a healthy parent-child relationship? NS: It is helpful when a parent identifies their parental feelings and goals around being a parent and welcomes the development of this lifetime relationship. See and love your children as individuals with unique gifts and needs to be valued, cherished, and encouraged. Keep your child safe and grow alongside him or her as you both evolve. Beyond trying to be a friend to your child, a parent’s job is to be the team leader, primarily to be a protector, guide, safe role model, and consistently loving and responsive caregiver to your child. The process of learning and relating lasts a lifetime between parent and child. 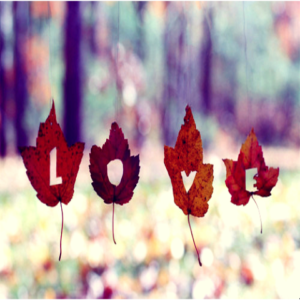 The relationship starts from the beginning of your time together until the end of your time together. Keep your mind and heart open every step of the way as you both learn and grow. NS: After a near-death experience I realized that I wanted to expand my work as a practicing psychotherapist to reach more people. I found that the practices and tools that were effective for me as a mother and clinician working with families, couples, and children provided a powerful and practical set of tools — valuable information to share with the world. “Parenting for Life” creates a new parenting paradigm that heals lives. Q: Please tell me more. NS: Well, as parents we often learn while in the throes of the parenting experience. We hope to do the best for our children, with the love, skills and knowledge we have at the time. Sometimes parents behave as their parents did, which may or may not have worked then or be effective now. Children need the best start in life that they can have while parents need to take responsibility for their parenting style, history, and role in co-creating this unique lifetime relationship. Q: Do you have advice for parents just starting out? NS: I feel that the best approach is to view and enjoy your children for who they are from the get-go. Your feelings and expectations are best managed when you look at yourself and your attitudes about your children. Managing your time and self-care are very important to fortify your energy as life with a child unfolds. Educate yourself and seek support when need be as you learn about your child and how to best parent them. Q: What does ‘effective conscious parenting’ mean? NS: Effective conscious parenting is described when a parent is self-aware of their intentions, feelings, attitudes, words and actions toward their child, applying this awareness for the benefit of the child and the relationship. It is utilizing tools and practices that offer growth-focused parenting. Q: What are some primary roles of an effective parent? NS: An effective parent’s job is to provide the physical, emotional, intellectual, social, and spiritual anchor that stabilizes your child’s sense of safety and security, and the wings that give him or her freedom to explore the environment and his or her identity. Another key, aside from keeping children feeling loved and safe, is supporting individuality. This includes accepting and supporting a child’s individual personality, gifts, self-expression, and needs. Q: What else would you like to say about this? NS: No two children are alike and each one must be treated as uniquely special. For every family there is typically some dysfunction and up’s and down’s. A parent who can be heart-centered ensures the importance of unconditional love and respect. Inviting appropriate, open dialogue, creating healthy routines and boundaries, and learning experiences are key. 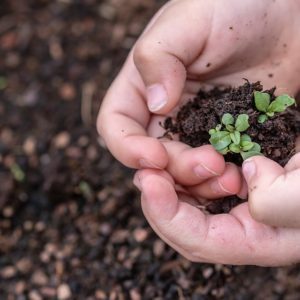 An open learning environment, such as welcoming “insight moments” and “lifetime insights” are practices that help the family focus on growth as opposed to challenges- which builds life skills for all. Q: What is another key to keep in mind? 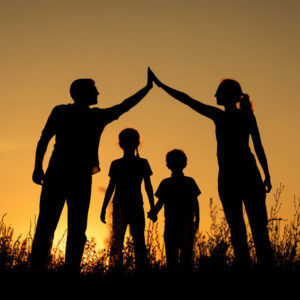 NS: A home that is filled with love fills up the giver and the receiver… one major key to successful parenting is that love and respect go together, and that they are valued as mutual practices between parent and child. Knowing home is a safe harbor provides shelter from the storms of life, reassuring your child that he or she is not alone. Living in a home that is treated like a sacred place is the best way to start the day and the most reassuring way to end the night. For further information about Author, Speaker, Life Coach and Therapist Nina Sidell, M.A. 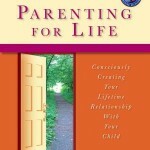 and “Parenting for Life,” please go to: www.LiveInspiredwithNina.com. The book is available from Amazon, Create Space, Kindle, and Barnes & Noble. The Power to Sell Yourself!